My first of what is now five Teams of OCs. Please keep in mind that a LOT of thought was put into these, but any suggestions and comments are welcome. Without further ado, behold: Team G.R.I.M. Hair Style: Straight, hangs just below the ears, parted directly in the middle to either side. waist; faded jeans; black combat boots, aged but well treated. Strengths: Acute attention to detail, keen strategist, will get things done one way or another as necessary (so long as it isn't immoral), works well with what is available, and some cooking skill. Weaknesses: Hates bees, can't stand being in the dark, selective memory disorder (sometimes cannot remember certain things that are situationally important or cannot forget things that are best to be forgotten), and relatively low stamina. 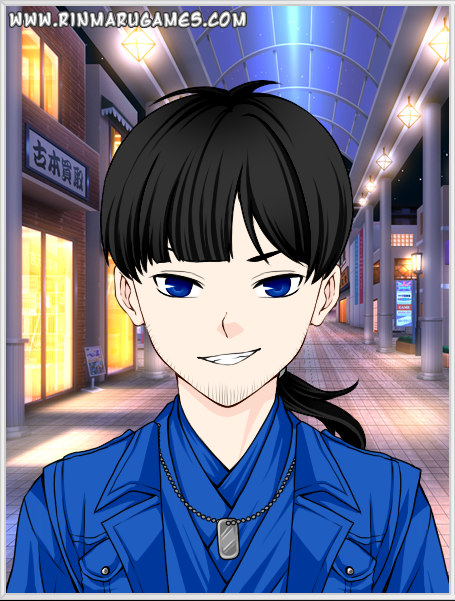 Personality: He strives more towards avoiding relationships, though it doesn't help that he's quite the charmer, though not intentionally. This may have to do with his light sense of humor when he's in the mood to talk sociably to others. At other times, when not on the battlefield or getting things done, he is quiet and more to himself. History: Did not get along with most, at a young age. Living a neglected life in school, he came to be more distant than most. It most certainly didn't help that his family was also struggling. Eventually, when it came time to live his own life, he decided not to attend an Academy, but to live the life of a nomadic warrior and train wherever he went. Eventually, upon hearing of the fall of Beacon, he took it upon himself to get more involved, meeting up with other Huntsmen that had come to the same decision. When it came down to it, it was decided that Garrison would lead the group, coming to be known as Team GRIM. Semblance: Vampiric Tap- This allows him to be able to siphon energy from via physical attacks at a rate of about half the damage. In addition, he can use this ability to "read" what the Semblances of others are, if the energy siphoned is from opponents with Aura, allowing for a strategic advantage in knowing what his opponents are capable of. 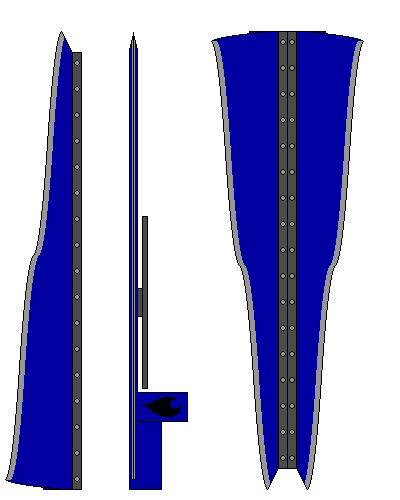 Comprised of a sword whose hilt also acts as two top-to-top pistols, a large club that acts as the scabbard for the sword and a barrel extension for the gun utility (turning the "pistols" into a double barreled sniper rifle). These two, together also form a staff. Battle Strategy: Prefers a more reserved approach, relying more on precise movements and playing the opponent into his hands rather than diving into action and using brute force. A common tactic is use of sword and club, sword to attack and club for blocking and blunt-force trauma (if necessary), and even a few taunts in the form of critiques to get into his opponents heads. Also is able to perform a form of "Ritual" against most Grimm. Ritual: Usually starts with blunt-force trauma to knock the Grimm out or with wearing it down until it is exhausted. He then walks up to the Grimm and addresses it as "(species name) of Grimm", commanding it to look to his eyes and to to feel the pain reflected upon them. Shushing any protest, he then suggests that it think about its next actions and what could result from them, being either far more of said pain or, instead, forgiveness and a second chance at living its OWN life rather than a life of forced hate and torment. These actions seem to trigger a spark of free will in most Grimm, which pacifies them until killed by outside aggression (usually being Grimm that haven't been affected). This instance of tranquil behavior is made apparent by the red glow to the Grimm turning blue. Most effective against Grimm that are isolated and having lived long enough to have more experience and reserve. Younger Grimm tend to have more resistance to the Ritual in being more reckless and stubborn. Dress Style: Russet brown sporting jacket; white undershirt with ink patterns on the front; brown jeans; white sneakers, never cleaned, barely considered for care; medium-sized, brown leather backpack. Strengths: Great upper body strength, can tank just about anything, decent reasoning (maybe), certainly knows when it's a good idea to be available and when things need to get lively... Not much after that, though. 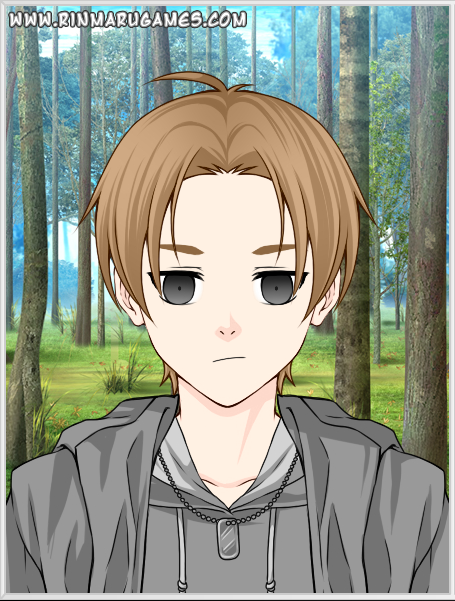 Weaknesses: He's a complete idiot, when it comes to strategizing and planning, and is spooked relatively easily. Personality: The life of the party. The main event on the battle field. The one that's there when you need him. This... is everything that is him... not much else, though. He does have confidence on his side, there's no denying that, however. He does tend to shy away from making his Semblance known, on the other hand. Semblance: Unmovable- Ability to cancel out the inertia of any incoming attacks from his opponents. While this has it's limits, it can be devastating in battle, depending on the application and whether or not it can be used against him (it doesn't fare too well against explosives). With this in mind, it is no surprise that Ravi prefers to keep this hidden from others. Large gauntlets, for hitting hard and hitting fast. When the going gets tough, a slot-like opening on each gauntlet fires energy shurikens for ranged attack. 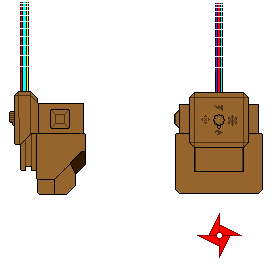 The effect of these shurikens depends entirely on the charging ammunition used, which is selected via a small knob that controls which Dust feed powers the mechanism. These Dust feeds provide from a large pack that is carried on the back of the user. the shoulders in length there. slightly worn but clearly well taken care of. Strengths: Never-failing ability to get on people's nerves through crude humor and bragging, adept at on-point decision-making and mind manipulation, and surprisingly honest when it comes to second opinions. Personality: Could give Nora Valkyrie a run for her money when it comes to being... kinda crazy, but, at the same time, also in being an asset to his team in any situation. He remains devoted to the cause at all times, even if people around him can't stand his jokes or humorous suggestions. History: Former military figure, though ranking and time of service is unknown to this day, due to events that are yet to be determined. Basically, no one knows who he is but by the color he dresses in, no one knows where he's going, but he's been going SOMEWHERE since the day he went AWOL. Rumors suggest that he has been going about as a self-declared Huntsman, slaying Grimm without rest until word came around of Beacon's fall. Curious, he's ventured out to see what had happened until he met up with Garrison and the rest of the band of nomads to be known simply as Team GRIM. Semblance: Aura Familiars- Able to create convincing, tangible projections of various objects, the number of which varying inversely with the size and complexity of the projection(s). Projections can vary from a single Paladin mech suit to four medium-small Beowolves to up to ten inanimate objects. Two giant blades, one strapped to each arm, both bearing 6-shot blast cannons at the back of each. These blades can also be spun and locked into a reversed position in order to either join them together in the form of a massive shield or to utilize the blast cannons. Strengths: Professional-grade psychologist, excellent at uncovering patterns in the fighting styles of others and how to use them to her advantage, and always knows the right thing to say (when she says anything). Weaknesses:Somewhat unsociable, lacking in close-combat skill, poor at utilizing any physical productivity (such as cooking, organizing, cleaning, etc. 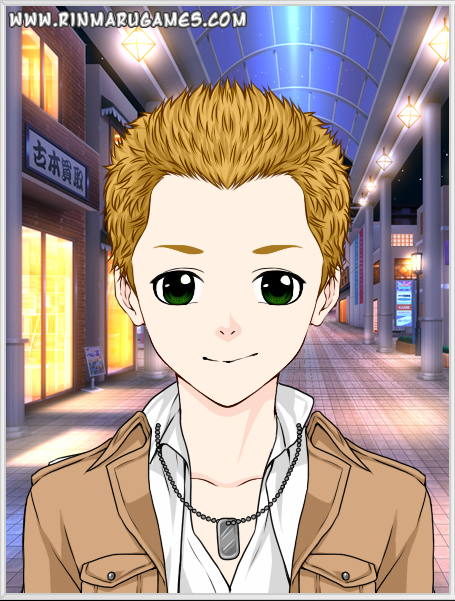 ), and has a deathly fear of heights. Semblance: Cloak- Can make herself and her weapon or someone else and their weapon completely invisible, until disrupted, at a very low aura cost per minute. This semblance takes a few seconds to make effective, but takes little focus to maintain once it's in effect. A baton-like device with four swiveling branches, each with a blade and hollowed out as a separate gun for each branch. 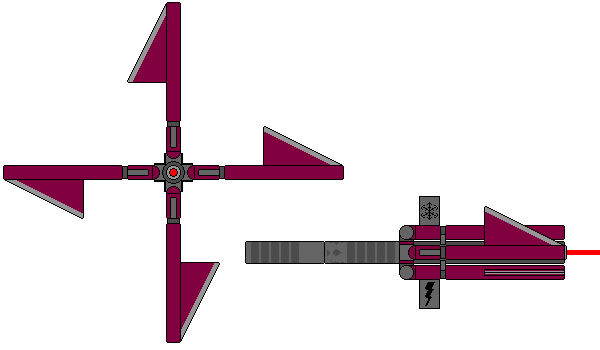 These branches can be locked in a forward position so that the Spinner doubles as a 4-barreled, adjustable, laser-sighted sniper cannon. 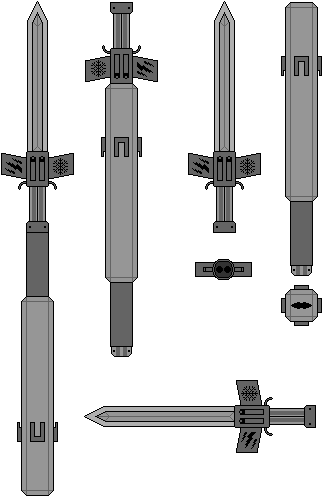 These can also be locked in an outward position to be used as a large, glaive-like weapon. Another unique feature to this weapon is the fact that each barrel (blade attached) can be removed and used as a last-resort-type weapon. Any comments and suggestions may now be submitted. "Don't worry about it. I'll make sure they don't mess things up for you merchants this time around." The merchants had talked of a small town, a small distance away; said there were two packs of Grimm causing trouble together just on the other side of the hilly forest, keeping them from reaching the village. The villagers were running on tough times, so they decided to spread word of this... hoping he would come. Their wish has just been granted... they just aren't aware of it yet. He kinda forgot to check in first. With five well-placed shots, he fired on the five with his S.T.E.F.F. in it's sniper function (only using one of the two possible Dust choices: electric). This gave them a paralyzing shock, eventually knocking them out, leaving the Beowolves in a state of confusion as to what was going on. Then, one of them spotted him and let out a howl to alert the others. With a faint word to himself, he quickly turned the S.T.E.F.F. over to use the Ice ammunition to keep the Boorbatusks under while he dealt with more pressing matters. Jumping down from the tree, he decided not to bother with sword-and-club this time around. It was about time he had some "practice" with the staff function anyways (more accurately, he wanted to make things more interesting). Still, he figured, may as well start things with a little surprise.He bent down a bit both hands on the sword hilt of the S.T.E.F.F., making it seem like he was only carrying a simple sword to the Beowolves that were now charging in. With a shout of his own, he started to run in as well, waiting until they were only about five yards apart before stopping to twist to his right. Caught completely off guard, the Beowolf in front by a good few yards attempted to skid to a halt, only to end up sidelined perfectly by a well placed blow from the left of it. And thus was one less Grimm to worry about in just one hit, once again making good results out of the club half of the S.T.E.F.F. and goo out of the Beowolf, which was now evaporating as all Grimm do when they die. While it's a small difference, it's only just starting. So, it came down to sword-and-club after all, seeing as the Grimm were now keeping their distance from further swings at them... or rather turning away from him whenever he swung so that they didn't get butchered or mangled themselves... With the change in range, the Grimm most certainly figured they had a better chance, so they all decided to charge in at once. They had no idea. Well, a number of well placed blocks, slices, and blows later, he finally took a hit from a Beowolf that decided to come in from one side while two others took the front. It was the last one, so he figured it wasn't really all that big a deal that he wasn't able to recover off of them because of that whole lack-of-Aura-because-of-lack-of-soul dealio. Well, he certainly wasn't wrong... it was just one Beowolf, which died pretty quickly when he joined the S.T.E.F.F. back together and put it through the Grimm's head like one does a spear. Besides, there isn't exactly much of a health threat when the hit didn't even leave a bruise, though his Aura seemed to take a hit from it. NOW was the time to get serious. It was a pretty good time to, at that. The Boorbatusks had just come to and strained to break themselves free of their frozen captivity. Four managed to get out with some effort, but one found itself especially stuck and not about to go anywhere soon. The ones that freed themselves decided they'd go in 2x2, just as he had figured. Two to wear down, two more to finish if the first two didn't get the job done. It was all going to plan... Paralyzing one seconds before it could roll him over, he then slammed the club end of the S.T.E.F.F. down into the other just as it was about to do so. This slowed it so he had just enough time to step out of the way as it lost control and flipped flat onto the ground next to the paralyzed one, both considerably dazed. Knowing that the other two would be preparing to charge in now, he quickly put the downed ones out of their misery and watched as they decided to pull a different tactic. Instead of charging in head on, they each swung outward to come at him from either side, aimed so they if they DO miss, they don't run into each other. It took an attempt at this before he realized that they were being smart about this, something he certainly didn't plan for. It DID mean a change in tactics though... the timing sort... It was always a sort of hit-or-miss sort of thing for him, but in this case, it was pretty clear that it wouldn't be a problem. When they came around for a second pass, he waited until they were a few feet away, jumped back in a flip, using the S.T.E.F.F. to knock the one closer to him into the other one. Not only did they collide, but having been around longer, the long sharp spikes they had from such age were enough to shred the both of them in the process. At this, he couldn't help but say it out loud: "Pff... Too easy. Maybe next time, you Grimm will keep your half-baked strategies to yourselves and follow the usual route." He turned his attention to the remaining one, which was still struggling to break free, but had worn itself down in doing so. It was too exhausted to struggle any further, so it eventually stopped to catch it's breath. Feeling charitable, he took the club from his S.T.E.F.F. and brought it down on the ice, shattering it and catching the Boorbatusk at a very vulnerable position... not considering the fact that it wasn't on it's back... It started to let out a squeal, but he shushed it for a moment. Confused, it obeyed for the moment. "Boorbatusk of the Grimm," he said to it, "See what is left of your so-called brethren. See how their aggression has failed them so miserably." As it did so, it realized the shame in having been associated with them and let out a defiant squeal in denial. Sighing for a moment, he hushed it again, this time bringing down the S.T.E.F.F. so that it actually appeared to be used as an actual staff. Now having it's undivided attention, he continued "Look to my eyes when I'm talking to you, would you? Notice that in them, you see that I have had to deal with suffering in my life as well? Then realize the error of your ways in following those of a cause that, as you see before you, only bring something far worse to those of that cause." The Grimm, understanding these words, let out a grunt of disappointment in itself in not having been able to do anything about him when it had the chance. "Grimm," he said, getting it's attention once more. "While you were born into following this path of self-destruction, it doesn't mean you are bound to it forever. You CAN choose to live your OWN life, if you so wish to. Take myself for example. I too lived a life of suffering, back when I had to take schooling, but did I choose to continue that life going into an Academy? No. I CHOSE where I would go from there, and I have yet to regret that decision. It's a decision I'm giving you the opportunity to make, right now, so I suggest you take the time to make it count." The choice couldn't be clearer: Live a live of peace and without torment... or die here in a sad attempt to fulfill a cause that was impossible to accomplish. It made the only choice that meant living to see another day. Suddenly feeling freed of its burden, the Grimm felt a very strange sensation... It felt at peace with itself, and the red that covered its eyes and spikes slowly shifted to now appear a calming blue. Knowing, now, that it had a life to live elsewhere, the Boorbatusk slowly got up, nodded to the one that gave it an chance at life without torment, and trudged away. With a sigh of relief, Garrison Woodsmith returned his S.T.E.F.F. to its sword-and-scabbard state and turned to walk to the village to inform them that their troubles were now over. Before he could disappear into the treeline, however, he heard footsteps behind him. He quickly drew his sword to react, but turned to see a young man, about his age, making a motion to greet him. "Saw the sick throw-down," the stranger said to him. "Pretty awesome, what you did with that last one, too! Mind if I tag along?" Well, there wasn't any ignoring the two obscenely large gauntlets he was wearing, so the least he could do is put the sword away and respond. "I don't even know who you are or how you plan on 'tagging along' for the time being." "ME?" The stranger asked, a bit surprised by the remark. "Dude, don't tell me you haven't heard of me..." When he received only a shrug in return, he continued. "Well then... Ravi Zerak. Most people that hear of me refer to me as 'Juggernaut,' but you can just call me Ravi. And let me tell ya, they don't call me 'Juggernaut' for nothing, so I think when I say I wanna tag along, it's probably a good idea." Garrison regarded these words for a moment. With a sigh, he thought to humor him for a moment. He stepped forward, placing a hand on Ravi's shoulder. The contact allowed him to read his Aura instantly, telling him all he needed to know of what he was capable of, as far as Semblance goes. Being able to read such IS another part of his Semblance after all, so he figured he may as well take the opportunity to use it. Certainly approving of what he found, he said "Fine, but only until you give me a reason to decide otherwise." It is long, I am currently reading it. I'm still thinking of how to do Ravi's trailer... I wanna try a small herd of Goliaths, but I know nothing of how THOSE fight yet... I might try Death Stalkers and maybe a Nevermore or two... OR I could wait until a new Grimm shows up... OR even better, maybe sic 'im against that dragon-type one... I've yet to get the name of that one... I'll check, then edit this post once I've found it. I want to say, I like where you are going with this, but I think that you are getting a little too in depth with the fighting some times, others not. It should be evenly spread between different parts of the fight, like the old saying goes "the devil is in the details." So just pay close attention to how your fights play out, other than that, it's perfect. Keep up the good work! P. S. Can't wait for Ravi's trailer. "And that's why I figured I'd head on over to Vale. It took a while to convince the family to let me go, but I'm sure hoping that the journey there and back will totally be worth it." Ravi had spent the entire day, since the moment he'd run into Garrison, talking. Mostly about himself, how he got to be a Huntsman and why he was heading to Beacon. Oddly enough, Garrison didn't seem to mind, even after they had gotten to the village to report Garrison's latest deed for them. Well, they WERE arranged to spend the night in the local inn with no charge for Garrison (with having restored the trade route and all), though Ravi sure didn't seem to mind not being included. "That's all fine and well," Garrison said to Ravi, catching him by surprise (he hadn't said anything along the way until now), "but we're not done here. Rumor has it there's a Grimm nest at the base of the mountains near here. All things considered, it may be why they had been attacking the trade routes." "Sounds about right," Ravi responded, "Let's get to it then!" "Oh whoa whoa whoa, let's not get TOO hasty here," Garrison cautioned. "We don't know what we'll be up against this time. For all we know, it could range from being one heck of a cobra-nest to just being nothing at all." "Oh come on," Ravi insisted, "With your smarts and my fists, what's the worst that can happen?" "As if I didn't see THIS coming," Garrison said to Ravi... rather rhetorically. Well, ONE of the options that he had mentioned were accurate... except it wasn't exactly "cobras" that they now had to deal with. In front of where they now stood was the lip of a massive pit that was dug out by a group of Taijitu that were clearly guarding a large tunnel that opened up into the mountain... and not happy with their new visitors. From what could be seen, it was a group of three large Taijitu, about the size of the two that Lie Ren had been rumored to have taken down single-handedly. These three were led by one more that was even bigger, covered in bony spikes that protruded from every scale. "So," Ravi said, breaking the tension, "You think you wanna let ME take this one?" "Against ALL of them?" While Garrison certainly found this a bit concerning, he thought about it for a moment. "Okay, but keep in mind that if I decide that you're in over your head, you'd better start running once I start shooting." "You got it! WHOO!" And with that, he jumped down into the pit and charged right in, firing shuriken after shuriken from his gauntlets at the largest Taijitu. As luck would have it, he had set them to Ice projectiles beforehand, so the shurikens left large patches of ice that eventually locked the Taijitu in place for the time being. The other three let out a snarling hiss in response and sped forward to meet Ravi head on, one leading the other two close behind, already making favorable conditions for him. Not phased by this (totally), Ravi didn't bother to slow down. Instead, he stopped firing and brought both arms back, keeping both fists forward. Just before the leading Taijitu was close enough to strike, he jumped and brought both fists forward, which caught the Taijitu right in both fangs right as it had moved to strike. To the startlement of the other two, the force of this blow shattered the fangs and sent the Taijitu flying back, slamming into the rock above the tunnel entrance and landing on the icy spikes still covering the largest Taijitu. Shaken a bit after watching this kill the Taijitu fairly quickly, the other two backed off a bit before realizing that Ravi was no longer in front of them. Looking around to see where he went, they spotted Garrison watching them. Amused, he pointed up and behind them. Confused, they looked to see Ravi climbing up to a spot where the rock of he mountain jutted out to make a small platform. "Oh come on! You ruined the surprise! NOT cool!" "Hey now," Garrison shouted back, "Like it wasn't obvious that THEY were the ones that could use a few pointers!" "Oh REAL funny, man!" With that exchange going, he almost didn't see the two Taijitu making their way towards him, having trouble getting up the vertically steep rocks. With his cover blown, he knew he had to step things up a bit. Setting his gauntlets to Gravity projectiles, jumped off his platform over the Taijitu, and shot at them with both gauntlets. This maneuver hit them with crippling force AND sent Ravi high into the air, giving him more than enough time to switch one gauntlet to Fire projectiles and let loose on the Taijitu below. Shaken by the blow and annoyed by the new tactic, the Taijitu decided to pull a strategy of their own, coiling around each other into a compressed spring and hurled themselves upward at Ravi. Given this opportunity to end this now, he dipped down, fists forward, to meet them head on in a collision that split the two Taijitu away from each other and into a nose dive that would mean their ironic end. Not slowed by this, Ravi had to act quick if he was going to survive the fall himself. Just before he could hit the ground, he punched downward with the gauntlet he still had set to Gravity. This cancelled out his own velocity at the cost of making a 10-foot-deep, 20-foot-diameter crater around him, which wasn't pleasant to land in. Brushing himself off, he started to make his way up and out when he heard something that chilled him to the core: the sound of ice cracking, which could only mean one thing. "Aw crap." The cracking turned into a loud and violent shattering as the large Taijitu broke free from its icy prison. Furious, it drew itself to surround the crater, cutting off Ravi's exit, and made its full status known. From the already existing spikes covering the Taijitu protruded large, sharpened extensions of these spikes. Its fangs extended forward and downward from the base, two equally sharp tusk-like spikes extended forward from the base of the jaw, and even more extended backward from around the back of the head. Unsurprisingly, this definitely succeeded in having spooked Ravi completely with a pretty clear message that could be heard through the shrieking roar of this terrifying beast: "Ravi, you've successfully annoyed me with your intrusion, and now you're completely screwed." Well, it was no shocker what happened next. Ravi immediately had both gauntlets set to Gravity and shot himself up and out of the crater, again to push himself out of the reach of the Taijitu, and once again to send himself flying away from the beast and into the mountain to try to get as far up and away from it as he could. Still fuming and ready to end this, the Taijitu let out another roar and bolted in pursuit, withdrawing the spikes as to not dull them while it made its way up the mountain in a way that the other Taijitu were unable to, though at a slower pace than was anticipated. Regaining his senses at this, Ravi stopped in a spot where he could stand and turn to face the Taijitu once more. Setting one of his gauntlets to Electric projectiles and the other to Fire, he fired a few shots from one to electrify the Taijitu into tightening up on itself, which locked it onto a position that only loosely held it in place on one of the mountain ledges. Setting the Electric gauntlet to Ice, Ravi froze it up once again and then fired a few Fire shurikens to hit in front of it, knocking it out of its hold and down the mountain a small ways. Upon hitting the rocky surface a good ways down the mountain, the ice that held the Taijitu in its position broke apart, dealing damage to a number of the bony spikes and cracking its skull-like covering. Dazed only slightly by this, the Taijitu recognized that it wasn't going to be able to continue with this without it not ending well for itself and retreated down the mountain and into the tunnel that it was guarding before, though not without losing a number of its bony scales that were knocked loose. With this now over, Ravi decided it'd be a good idea to at least gather up those scales before meeting back up with Garrison. No sense in leaving without a few souvenirs after all. Gathering up a total of ten, he put these in his back pack, separate from where the Dust feeds for his gauntlets were, and proceeded the rest of the way down the mountain to yell at Garrison for not bothering to help with THAT one at least. "Okay, so you get me all worried that I'm gonna screw up and then you decide not to do anything when I freaking lose it?! What the heck, man?!" "I said that I would start shooting once you were in over your head, didn't I? You were fine. Come on, THREE Taijitu and you didn't flinch. THREE. Then you had a one on one with a larger, spikier Taijitu that makes the equivalent of those three. Sure it threw me that you would flip out over THAT, but seriously, you were fine. You didn't even take a hit." "BUT nothing. For someone that went from confident to flipping out, you did better than I expected. And THAT is saying something." "And don't we all know it," someone interjected from behind. Caught off guard, Garrison drew his sword and Ravi put up a fighting stance, both turning to see who this interruption was. This reaction was apparently amusing to the stranger, as he let out a laugh for a few moments. It was certainly an odd sight. A man, clad almost entirely in blue with enormous blades that were equally blue strapped to his arms, laughing at the fact that his interruption spooked two people that just took down a Grimm nest. "Don't mind me," he said to them. "I was just stridin' on over to see what all the explodin' was about." "You, kid," he said turning towards Ravi, "have quite the guts, to scare a Grimm like THAT back into its hole." "Uh... Thank you?" Ravi responded, unsure of what to make of the situation. "And you are?" "Just headed out towards Vale. Heard there was some carnage over there that I might get in on," he replied. "But you were askin' for my NAME, now weren'tcha?" "THAT much would be appreciated," Garrison responded coldly. He certainly wasn't going to let this guy "chill" his way out of a potential confrontation with anyone's guard down. "Well then... Chiama. Indigo Chiama. Basically, both names meaning the same thing so that there's no confusion. I take it you two were heading to Vale too? ... Hah... used all three of those in one sentence..."
"Uh... yeah... So... You're saying you want to come with?" It wasn't too long ago before Ravi had done so for Garrison, so it made sense that he'd suspect the same from this "Indigo" stranger. It didn't stop Garrison from giving him a look that pretty much said "Are you out of your mind?" in a way that made Ravi unsure of why he had asked. "You sure? You two don't seem too comfortable about it... But what the heck! Why not? The more, the merrier, right? Heheheh, I'd be happy to oblige! Well, let's get on with it then! To the next town!" With Indigo turning to start in the direction of the next town , Garrison turned to Ravi for an explanation. "Who gave you the idea to invite HIM on board?" "Well... You sure didn't mind letting ME tag along... So, I figured it'd be appropriate for me to make a similar decision." "Uh dude, did you not see the size of those blades he's packing? It's not like I'M going to question HIM!" "He's not wrong," Indigo called out to them, "now come on! Daylight's wastin'!" Hey guys, just as a pause to the action that I've been putting out for you readers, I've been thinking about how the RWBY teams had their combination attacks (such as "Checkmate" of Weiss and Blake and the amusingly named "Flower Power" of Ren and Nora). With this in mind, I feel I should have a list of a similar nature. Edit- The remainder have been filled out, but any further suggestions towards possible improvement are appreciated. What if R+I was like the Thor and captain America move from age of Ultron? Indigo makes his giant shield and Ravi punches it with all his might to make a deadly sound wave. 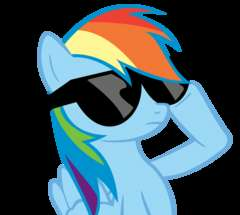 Hence the name, Sonic Boom. Just an idea(I should probably be doing this for my team to ). Interesting idea, but keep in mind that we're talking about names that GARRISON would name... Same reason goes for the explanation. That isn't exactly a tactic that I'd expect for those two characters, but I appreciate the thought. How about as far as "Chapter 2" is concerned (Ravi's trailer)? Edit- Actually, that was sort of onto something, so I ended up coming up with something of a similar concept, only much more fitting. It was getting late, by the time that Garrison, Indigo, and Ravi had arrived in the next town on their way to Vale. It took a few minutes, but through Indigo's projection-making Semblance to make a small but surprisingly accurate "replay" of what had happened, they were able to explain what had happened on their way to the town. Impressed by this, several people of the town had a few words of their own to say... mostly having to do with their OWN Grimm problems, particularly of the group that had made a mess of a nearby town. Well, the trio said what they could to assure them that they had nothing to worry about. "We're talking about a large pack of Beowolves, lead by this... mystery Grimm you speak of," Garrison reasoned. "Between the three of us, the only concern I can see is having to plan for the leader on the spot. Even then, it's three on one, which most certainly won't be a problem." "He's right, yo," Ravi cheered on, "We're gonna set those Grimm STRAIGHT!" While this certainly brought some cheer to the gathered crowd, the doubt could still be felt, though only faintly. Indigo in particular seemed troubled... but only at first. "In any case," Garrison said, "it's getting late to be talking about dealing with them for right now. I don't know about these two (motioning to Indigo and Ravi), but I prefer to maintain a relatively strict sleep schedule." At this, the other two agreed and the town folk agreed to allow them room and board for the night at a discount, which Ravi was more than willing to pay for. Once they were in the room, before they could get to sleep, Indigo had a few things to say. "I have my concerns about this one." "Do explain, Indigo," Garrison told him. As Indigo seemed hardly the type to be concerned, it certainly sparked its curiosities. "What they described about that particular SOUNDS like, maybe, a Geist... But I've never heard of one being a quadro-ped (having four legs) and having hands that actually resembled such things... Plus, they're saying it's practically a quarter-size of a MOUNTAIN. I don't know about this." "Dude," Ravi interjected, "how are YOU one to back out? You're ALMOST as tall as I am and you're packing blades bigger than I've even seen in my life! Being able to actually USE those things? That HAS to take some serious skill, dude. And with YOUR skill, MY muscle, and HIS brains (gesturing to each as he mentioned them)? There's just no way ANY Grimm is getting in our way!" "You say that," Indigo said back, "but in my experience, 'the bigger they are' doesn't ALWAYS mean 'the harder they fall.'" "He's not wrong," Garrison interjected, "but I'd appreciate if we could all get our sleep for the morning. Given the day we've had today, I'd say we're going to need it." Unknown to them, their conversation wasn't going unheard by someone else, crouching under the sill of the window to the room that the trio were residing in. It was near the back of the building, on one side so the person was between the inn and another building, providing some cover so that no one could see. Hearing all that there was to hear, this person that had been following them (Ravi, from the start, apparently) crawled around the corner to the back to stand up, revealing the maroon color of her hair and the red of her sporting jacket in the moonlight, with her meticulously crafted weapon tied to her back and glistening. "It looks like I'll have to do some looking ahead, for this one," Meredith Coronus whispered to herself. Turning herself and her weapon invisible (as to not draw attention to herself from any villager that was still awake) and relying on her Faunus-inherited night vision once she made it to the trees, she left the town to scout out and maybe do some damage to the pack of Grimm that may surely make their way there, not realizing that her own sneaking wasn't the only of such in play. Apparently, Indigo somehow heard and waited a couple minutes before leaving to follow after her. It would seem that he intended to spy on the one that happened to have ironically been spying on THEM. 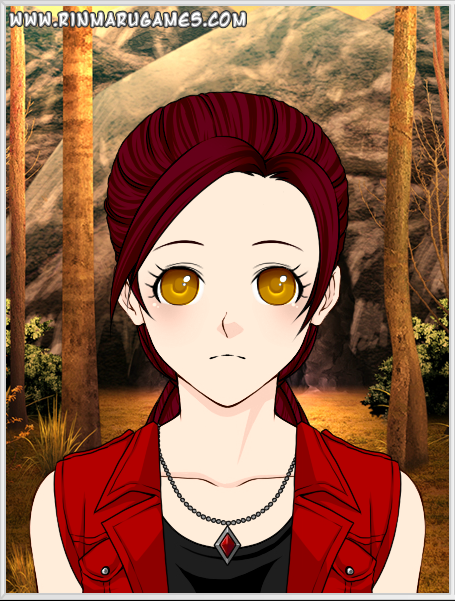 Eventually, though at a relatively fast pace thanks to her assassin-type training, Meredith found her way to a clearing in the forest, thinking to herself "For being just one forest, this sure is a pretty extensive one to go this far from the mountains." Finding a spot to crouch down where she would have a good vantage point, she also thought "Speaking of mountains... I wonder that happened to that King Taijitu that the kid had fought... He probably could have finished it off in the shape it was in from that..." She had to push these thoughts aside when she caught a glimpse of what she was looking for. Sure enough, one by one, the Beowolves of the pack were making their way into the clearing. Fortunately, it didn't look like they've been around for too long that they'll be too much of a threat. However, there was no sign of this "mega Geist" that the villagers were talking about. Perhaps, due to its size, it was taking longer for it to arrive. "Well, I guess I may as well take care of these before the big one gets here," she said to herself as she set her weapon, the Storm Spinner (A glaive-like, baton weapon, whose glaive arms folded in to make four bladed gun barrels. These could be spun to select a Dust type for ammunition, the firing of which can be directed by a laser pointer at the end of the baton part.) to Ice. Reminding herself that the coverings on the gun barrels act lightly as silencers, she took a breath before she opened fire on the Beowolves, making sure that she hit them just right so that they'd be frozen long enough for the trio to deal with them. It was once the Beowolves had started looking around for the source of the shots that she remembered to go invisible again before continuing to freeze them in place. As it turned out, however, she found that there were far too many for her to use two shots each to freeze ALL of them, which appeared to be a good 40 or so, even with having two extra Ice Dust cartridges. Looks like she'd have to kill a few as well. So much for saving the fun for the trio. Having to uncloak so that it wasn't taxing to her concentration, she was able to snipe down a few before they finally figured out where she had to have been, given the trajectory of the shots. This left 20 remaining, more than she could take all at once. Knowing this, she checked to make sure that she didn't have Gravity Dust as one of her cartridges in the Storm Spinner before taking it, holding down the button trigger, and giving the rotating mechanism a spin, making it fire in a Vulcan-type fashion. While this certainly took a few Beowolves by surprise, it wasn't enough to bring the number down to what she could handle so she detached two opposing barrels, gave them a twist (detaching them), unfolded the other two, and took the Spinner by one of the resulting arms. Putting a decent amount of effort into it, she hurled it so that it mowed a line through the Beowolves that weren't either frozen or shot down. This apparently triggered the laser pointer to activate, pointing straight up into the clouds as the Spinner got lodged into one of the frozen Grimm. At this point, a slow but steady thundering could be heard in the distance, getting slightly louder each time. The leader of this pack of Grimm was definitely making its way here. Her victory would be short-lived, however, as the thundering eventually became a shuddering of the ground upon the impact of the steps taken by something truly massive.They stopped however, before the source could be visible above the treeline. A crackle was heard and suddenly, a large ball of crackling energy was hurled straight for where Meredith stood. Frozen from shock in the fact that whatever it was had somehow figured out where she was while she was still invisible, she had no time to react but to uncloak and brace for impact... She especially had no time to react before she would find herself being spared the pain of going through the impact of such an attack. When she looked to see why she wasn't killed, instead of seeing what had thrown the energy orb, she saw the back of Indigo immediately in front of her. In front of Indigo, as it would appear, was the massive shield formed by the two blades he wielded being turned to latch together magnetically. This shield, having been at an angle and anchored partially into the ground, was what took the entirety of the blast... It was stripped of the blue paint that usually covered it, but other than that, there seemed to be VERY little damage done to it. "Not much for talk, all of a sudden, are ya?" Before she could muster an answer, she couldn't help but noticing that something curious has happening. Three "stick figures" (comprised only of two legs and one single "arm" that ended in a long, sharp point) of a blueish glow were walking about, stabbing into and finishing off the Beowolves that were frozen in place. "Much obliged, for making that easier for me, by the way," Indigo said, sparking an understanding that what she was seeing was his doing. The figures soon vanished as their job was done, one stopping to retrieve Meredith's weapon for her before doing so, not slowed by an additional two of those energy orbs slamming down into Indigo's shield. With this lack of getting results from this method, the one responsible made its appearance. It was indeed a massive quadro-ped as Indigo described from the word of the town folk. Strangely enough though, it didn't seem to be as much of a Grimm as more of an incredibly huge machine of some sort. On the other hand, the unmistakable bone-like mask of a truly ancient Geist could be seen where the head of the machine would be.As a result of this possession, however, the machine in which it resided did indeed develop similar extensions. Namely, gigantic blade-like spikes protruded from most joints, the toes and fingers of each limb extended to sharp points, and what appeared to be the core of the machine glowed a bright, ominous blood red, just as the eyes of the Geist mask did. There was something else that was curious about this one, however. This "Geist" also had what appeared to be something of a large jaw, making it evident that the head of it extended forward from the machine itself. Astonishingly for Indigo and Meredith, this massive being slowly began to speak. "Huntsman... Huntress... Why do you insist towards traveling to the land known as Vale when, in doing so, you decide to take every opportunity to be a thorn in our side?" "'Our'?," Indigo shouted to the towering giant, trying not to seem shaken by the fact that a GRIMM is talking to them, "From what I've seen, you Grimm weren't so organized until we started hearing of Beacon's fall!" "Beacon?" The Grimm thought, for a moment, of this before speaking up again, "So... The Leviathan HAS risen... Curious, that it's presence was only felt for a moment... But enough of this pointless talk... You two will die soon enough, as will the rest of humanity..."
"That's NOT gonna happen," Indigo shouted. "NOT tonight! NOT tomorrow! Hell, I'm PRETTY sure not EVER, so long as anyone has anything to say about it! And I'm pretty sure that THEY have a few things to say about it (gesturing behind him)!" As he said this, two figures ran out from the trees, appearing to be Garrison and Ravi, both having their weapons at the ready. Knowing that it's chances of dealing with this issue had now slimmed, the Grimm hesitated to consider it's chances, combining factors such as its speed and their strength in numbers. Not willing to take a chance just yet, it turned, but spoke once again. "Fine then... But know this... I may well have only recently been reawakened within this metallic prison that binds itself to me... But when I reconvene with you, perhaps in Vale... seeing as that's where you ARE headed, after all... you will find that I will not be as considerate." With this, it turned the rest of the way towards the mountains and proceeded away from the now puzzled group. Once it had gone out of view, however, Meredith was surprised to see Garrison and Ravi flicker away as Indigo turned to face her. "They were only to LOOK as if the odds were evened.," Indigo explained. "The real deals are still back at the inn, sleepin' their noggins out." Noticing that this only made her seemingly more confused, he asked "What? You really think I was gonna let THEM have all the fun? Nah, it ain't my style. I'm more of a solo act as it is." At this, Meredith could only respond with a look of VERY clear doubt in what he had just said. When he turned to head back to the town, she reached out to stop him. "Wait," she said. "I'm coming with." "Well no duh," he replied. "No sense in stopping your spying on us NOW..."
"I MEAN as in along side. You've seen me already. There's no point in me hiding now, as you'd know what to look for." "Well then," Indigo said in response, "I guess I can't argue with that. I DO have one question though... Why follow us in the first place?" "It wasn't the team I was following." "Ravi? What has you so interested? Crush?" He stopped and chuckled at that. "What? No. He's very much not my type," she argued. "There's no way I'd want to live my life lawfully related to such a chatterbox." "Okay, so WHY, then?" There was no further point in him pursuing a more romantic topic, with her having said what she did already. "I've heard things about him. About former intentions before becoming a Huntsman, how he would sneak away from his home at night to pick fights so he could prepare himself for the military." "Military, huh? That definitely explains the pack he uses. That style of fabric isn't your average school material." "You would know, now wouldn't you?" "Whoa, hey now. We're NOT talking about ME, okay? Besides, you ain't exactly answered my question yet. Why ya following him?" "Because he was so willing to take an alternate route, even after being so determined to join the military. Well, not entirely THAT, but even to this day, he has so much potential... for THREE paths instead of two." "His family legacy is in construction," she explained, "but he sought to join the military. Instead of either one, he ended up going into an Academy to be a Huntsman. Not many look for a middle road, but when they do, there's always a very clear reason for it. I just... can't figure it out... I'm sure he has his own reasons, but I keep getting this feeling that there's more to it than personal decision..."
That about wraps up what I have for this team. I know, I ended up not using that dragon-type one from Volume 4 that I was interested in using. Like I said before, I'd have used it, like i might have with the Goliaths, but there's too much missing information to use either of those. In any case, don't let this stop you from making your own suggestions! I'll be watching for them and will be sure to respond accordingly!